Sending your child off to college can be one of the proudest moments for any parent. As your pioneering young student sets along the path of earning their degree, a wealth of opportunities open up in their lives, like academic growth, professional opportunities, higher income potential and simply the pride that comes from calling oneself a college graduate. It may even be a catalyst towards greater social success and good health. Now imagine your disappointment if your child got a bit lost along the way and fails to complete their degree. Sadly, low college freshman retention rates are not an uncommon occurrence; at least one in three first-year college students don’t return for their sophomore year. If your offspring does happen to call one day with the less than ideal news that he or she is being asked to leave school, you’ll want to take a deep breath and read on. You’ll want to know how they managed to flunk out, and if they’ve missed their chance to ever succeed academically. But while some parents may react to their child failing out of college with anger, confrontation or distrust, your parenting style can mean being supportive and sympathetic towards the problem. 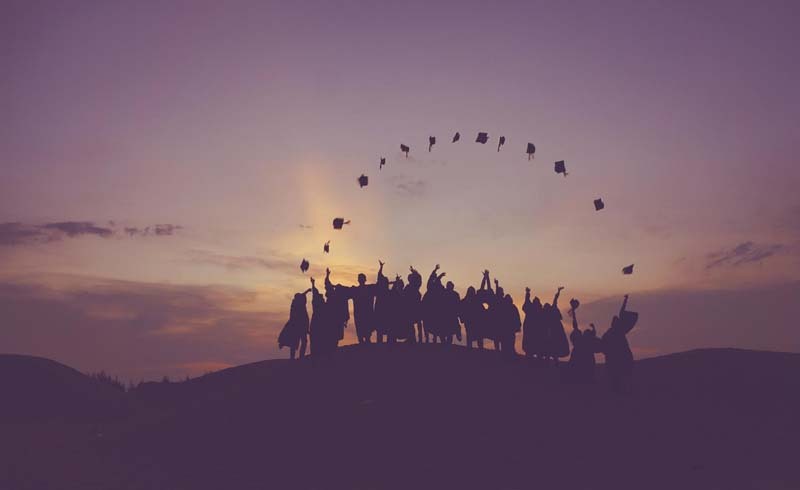 Here’s how you can both take the steps to help your student find success, avoid the dreaded academic dismissal and if necessary, put them on the collegiate track for the second chance they need to pass and graduate with flying colors. Academic dismissal usually results when a student’s grade point average (GPA) has dropped too low (commonly below 2.0), whether from failing too many classes or failing to enroll in enough courses. In these cases, dismissal due to poor marks doesn’t happen after just one semester. Most colleges and universities give students a warning first, then, place them on academic probation, a period where they can work to improve their grades by a certain date. 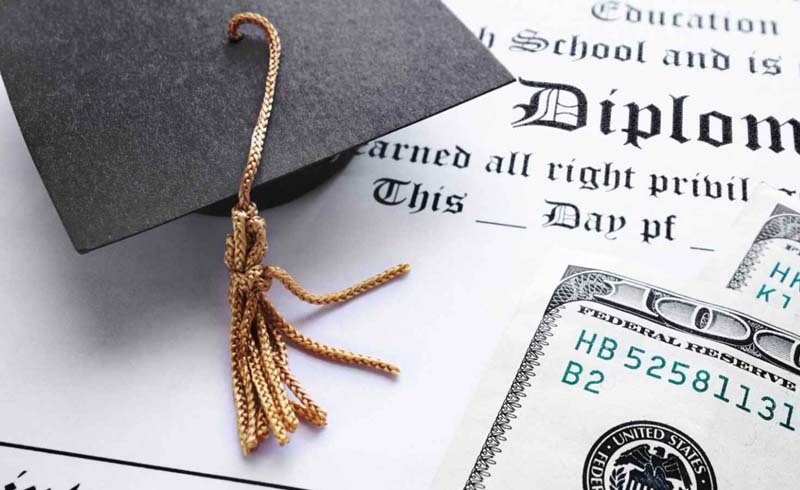 Generally, a three strikes rule applies in many schools: failing to earn the minimum required GPA after three semesters, for instance, may result in academic dismissal. A dismissal isn’t initially set in stone. Colleges normally give academically-dismissed students the chances to appeal before making a final decision. It’s a chance to give the student a voice, explain why his or her grades have suffered, and to ask the college or university appeals committee to give the student a second chance. Writing an appeals letter (here’s a good example) is one avenue to take, but scheduling an in-person meeting with the appeals committee (if the college allows it) is more advisable. If you’re a student, it’s not advisable for your parents to appear in your place by proxy; the appeals committee wants to see and hear you tell your side of the story. Represent yourself to better your chances of getting another chance at college and life. Another important thing to keep in mind when appealing a dismissal: Don’t make excuses. Taking charge of your own appeal shows that you can approach school with maturity; it also provides opportunity to elaborate on any circumstances or specific reasons to your academic failings, like a work or family situation, or any personal or mental health problems that may have gotten in the way of your studies. If academic dismissal is the school’s final decision, it’s not the end of the world, but it is a time to be realistic about the future. Many schools allow students to apply for reinstatement after a certain period of time -- often after a semester or full school year has passed. Some colleges also enact a clean slate policy allowing D- and F-level grades to be erased from a student’s academic record as long as he or she repeats the same courses and prerequisites. However, this may not often be the case, and poorer grades will remain on one’s academic record. Students academically dismissed from the same college multiple times (i.e. flunking out after being reinstated) may be allowed to apply for future reinstatement after a few years have passed, though some schools may ban the student forever. At this point, when appeals are denied and a student must wait for reinstatement, take this as a time to re-examine options. Can it be used as a time to work part time? If living off campus, moving back home to recharge may be necessary. It could also be a chance to enroll in a local community college. Taking some of these steps into account can go a long way to preventing a college student from being dismissed from school in the future. For parents, this means knowing how to stop your child from flunking out in the first place. College failure can be unpredictable. Simply because a student excels in high school doesn’t make them immune from struggling in college, or vice versa. "There is a myth that bright students can’t fail, or that students that did fail didn’t ‘have what it takes,’" writes education consultant Jeff Ludovici. "I have had clients who graduated from top high schools, took many AP classes, had a high GPA and stellar SAT scores, and still failed in college. While the reasons are many, they either amount to something happening during college, or a key action not happening prior to attending." Identifying what your child’s stumbling blocks are as early as high school can stop future problems from occurring before they have a chance. Communication, communication, communication. Before academic dismissal forces a student to embark on an alternate path in life, parents and students need to exhibit good communication before it even becomes an issue. If a child has been withholding that their academic performance has been poor, or if they’ve lied to you, fostering healthy communication without confrontation is a way to get parents and kids on the same page. Are they having problems adjusting to campus life or making friends? Is their choice of major or course load wrong for them? Are they homesick? If they’re receiving poor grades, is this a sign of constant failing on the horizon, or just a fluke? Is it related to substance abuse, or tied to a learning disability? These factors and others can all play a role in a student falling behind and failing, but parents may be unaware of the existence of problems if they lack an honest rapport with their kids. Parents: Lend a listening, sympathetic ear. Students: Don’t be afraid to express your problems to your parents. Examine alternatives. Is college the right choice for your son or daughter, at least at this moment? High school-age kids may feel the pressure to attend a 4-year university right after senior year, even when they might not be ready. And rushing back to school shortly after an academic dismissal may only prompt a retread of the problems that led to them being dismissed originally. Knowing that it’s OK to take a break from college, or to consider something different (like trade school, online learning, community college, or going to work) can prevent academic issues before they start. Parents can guide their children through making this difficult choice. Set up a plan. Your child may just be entering college out of high school, or they may be returning after one serious academic dismissal has caused great consideration of their future. Avoid starting or re-starting the cycle that leads to future college failure by working out a game plan for success. Ensure that communication is present, and that they have the right college, major and course load they’re happy with. Accompany them to meet with academic or department advisors to get on the same page; are some classes right for your student, and others not? Make sure there are resources they can take advantage of on campus, like a counseling or tutoring center. Most of all, map out and set goals, both short- and long-term. It could be to reach a minimum grade level or GPA next semester. Another goal could be to become a better note taker, or to devote more time to studying and researching. Another could be to arrange frequent meetings with a professor, advisor or tutor to ensure students are succeeding. Whatever they may be, setting realistic, achievable goals can make success towards graduation a reality.